When is the last time you had your home tested for mold? If you haven’t actually seen any mold in your home, you might think that you don’t have anything to worry about. However, the truth is that mold could be living and growing inside the walls of your home, in the dark corners of your walls, and in other parts of your home that aren’t necessarily visible to you. And if you have mold present, you could be subjecting yourself and the members of your family to the health risks that come along with it. Here are several good reasons to test for mold, even if you can’t see it. You have a moldy smell in your home. Mold has a very distinct smell to it. It’s usually described as being very pungent, and if you smell mold, you will likely recognize it. If you ever have a moldy smell somewhere in your home, it’s a good idea to have mold testing done to see if mold is growing. It’s better to be safe than sorry, and if it doesn’t turn out to mold, you can try and identify what else might be causing the strange smell in your home. You are suffering from the symptoms of mold. Many people find out that they have mold in their homes when they started experiencing symptoms often associated with it. If you have been experiencing fatigue, headaches, difficulty concentrating, joint pain, or shortness of breath, mold could be to blame. A mold test can prevent your symptoms from getting even worse. You have had mold in your home in the past. 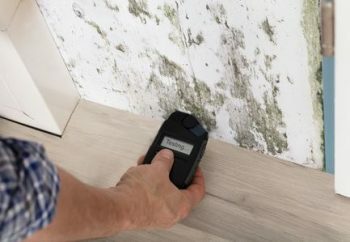 If you have dealt with mold issues in your home in recent years, it’s a good idea to have it tested for mold every so often, just to make sure the mold doesn’t make a return visit. It will, at the very least, give you the peace of mind that comes along with knowing that you don’t have mold in your home. Don’t let mold take over your home and affect your family’s health. Rapid Response Restoration can provide you with the mold testing you need, and if mold is found, we can also do mold remediation and get rid of it right away. Call us at 602-466-2619 today to schedule mold testing.